Dyebrick products were chosen to ‘age’ the new wall to produce a more sympathetic appearance more suited to the surrounding period properties. 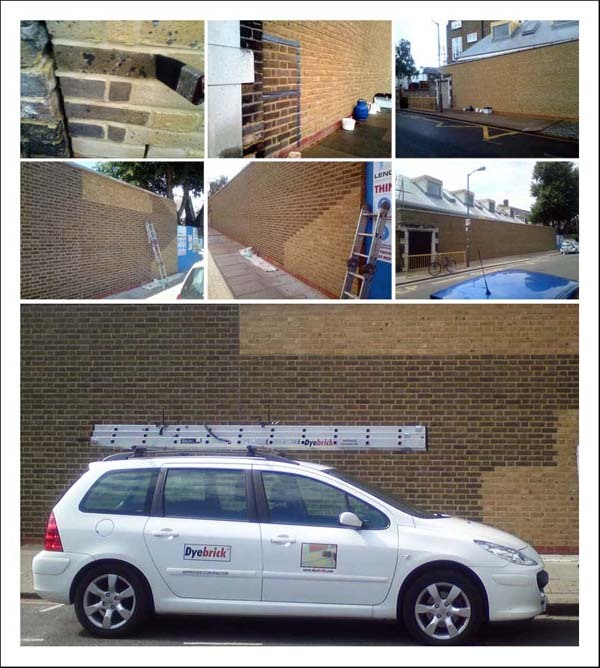 Dale Dempsey, who has been tinting bricks for over 30 years, carried out the work on behalf of Wandsworth Council. The process is known as Soot Washing, (or ‘sooting’). Dyebrick have two products for this ageing process, one called ‘Soot Wash’ and a less intense product called ‘Brick-Age’. It was the Brick-Age product that was used for this project. Although the majority of this work was carried out a few months ago, the finishing touches are being carried out this week.